We’re only ten minutes from the CBD. You can get to Sydney Road, Brunswick via a range of public transport, by bike, car or on foot. 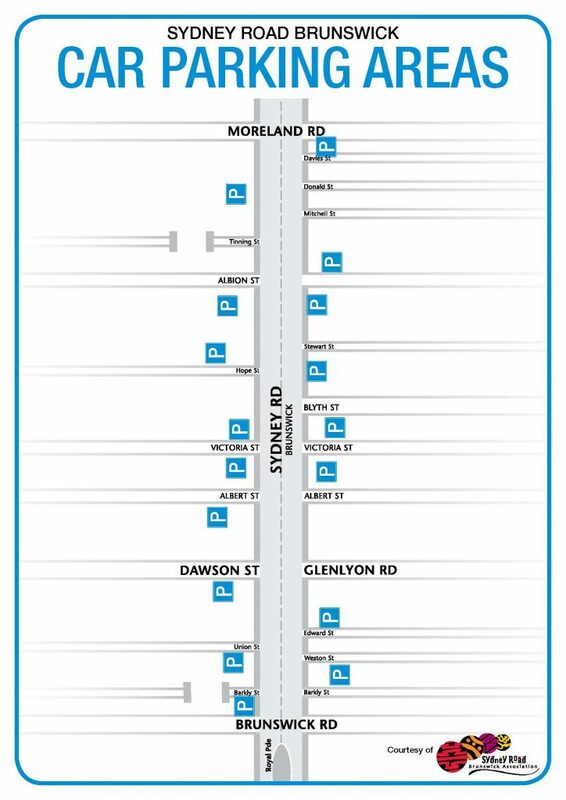 This great online tool helps you plan your journey to Sydney Road (Public Transport Victoria). Top Tip: Check exactly when the tram leaves by downloading the FREE TramTracker App to your phone. via the Upfield bike path following the train line one block West of Sydney Rd. There are plenty of bike racks along Sydney Road. PARKING SENSORS operate in Sydney Road and side streets. These will register when you park your car. Observe signs carefully.